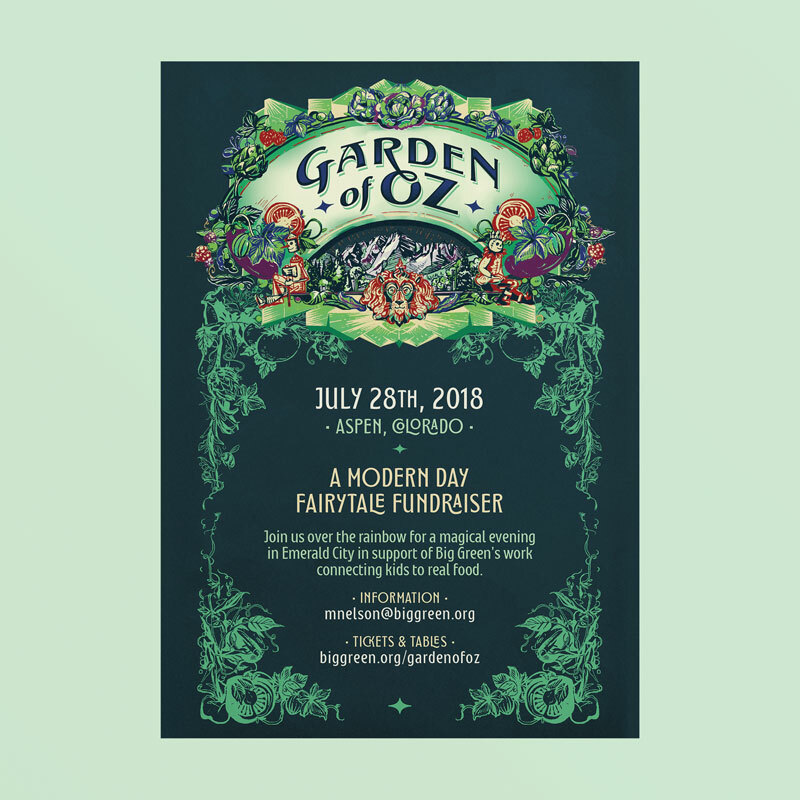 Event branding, illustration and invite design for Big Green for their upcoming fundraising event in Aspen, Colorado. Excited to work with Big Green since they’re building a national school food culture that promotes youth wellness. They connect kids to real food through a network of Learning Gardens and food literacy programs. Big Green Garden of Oz 2018 from Big Green on Vimeo.